Natural living resources and education recommendations, all in one place. It is our mission to make natural living EASY and APPROACHABLE. By providing our researched and tested list of natural ingredients, companies, supplies, and educational resources below, we hope to save you frustration and hours of time getting stuck down the Google Search Rabbit Hole. The companies listed below for daily-use products are all guaranteed to be natural and transparent in their ingredient lists. Mrs. Meyers’ products are cruelty-free, made with essential oils and are biodegradable. Product ingredients are at least 97% naturally derived. Dish soap, hand soap, glass cleaner, multi-surface cleaner, surface scrub, toilet bowl cleaner, etc. 100% Pure only pigments their cosmetics with fruits, vegetables, teas, and plants. The do not use water, thickeners, or fillers and are committed to sustainability. If natural makeup is your thing, this is your company. A family-owned business that hand makes small batch skin care recipes with dried herbs, organic butters, and pure essential oils. With products made to order, this is as fresh as it gets. Natural face serums, eye cream, exfoliating soaps, and lip care (to name a few). Formulated by a woman who spent years hopping from one Rx to the next, only to find that her optimal treatment plan was proper nutrition, tinctures, probiotics, and herbs. All natural solutions for skin, digestion, hormones, detox, stress, and anxiety. Tom’s of Maine has been a main resource of natural personal care products since 1970 (even before it was a ‘trend’). They are transparent about every ingredient they use and why. This will be your new go-to for toothpaste, body wash, deodorant, and more. An essential oil is a liquid that is extracted from the leaves, stems, flowers, bark, roots, or other plant elements by steam distillation or cold pressing. Aside from smelling lovely, essential oils are said to provide psychological and physical therapeutic benefits by either applying to the skin (diluted) or through inhalation. Lavender is the most commonly known essential oil and is incredibly versatile. Use for many personal care product recipes due to its antibacterial properties and reputation to calm stress, promote sleep, reduce birthing discomfort, relieve itching, etc. etc. etc. Lavender is amongst the safest of essential oils and is able to be used in recipes for children (when properly diluted). Frankincense Essential Oil is made from steam distilled frankincense (a tree resin). Smells fresh, woody, balsamic, slightly spicy and fruity. Frankincense has astringent properties that may help reduce the appearance of wrinkles and promotes the regeneration of healthy cells. The best essential oil for all things skin care. Orange essential oil (both Sweet and Blood Orange) is made from cold-pressed orange rinds. An incredibly uplifting oil that is said to help combat stress, cold/flu symptoms, and is used in a variety of skin care recipes. Antibacterial and frequently used in natural cleaning products. Orange is one of the most popular essential oils, coming in close second to Lavender. Peppermint Essential Oil is made from steam distilled leaves and buds of the peppermint plant. Smells minty and fresh and is very potent. This is a well-known stimulating oil and should be avoided in heavy concentrations before bedtime. Peppermint essential oil is often used for headaches and muscle ailments due to its cooling effect upon application. Also a natural energy booster & keeps bugs away! The ingredients below are great to have on hand if you enjoy creating your own natural personal care items at home. Recipes can often be changed up to meet your own needs – just make sure you understand basic substitution guidelines. The suggestions below have low allergy risks & are basic staples for experimenting with DIY recipes. Coconut Oil is an oil made from the kernel (the white part) of mature coconuts. Coconut oil is a fantastic natural skin moisturizer with slight SPF, and also has antibacterial and antimicrobial properties. Make sure you get 76℉ Coconut Oil (the solid kind). You can use this for body care AND cooking…a great multi-tasking ingredient! Shea Butter is a fat extracted from the nuts of the shea tree. Full of natural vitamins and fatty acids, unrefined shea butter is nourishing and moisturizing for skin. Used in a large variety of solid personal care products. Apricot Kernel Oil is a carrier oil made from the seeds of apricots. A light oil that provides moisture to sensitive skin; spreads easily and quickly absorbed. Apricot Kernel Oil is the most gentle carrier oil, perfect to use on recipes for babies and/or fair, sensitive skin. Calendula is an herb made from dried petals of marigold flowers. Soak calendula in carrier oils to make a vitamin-rich oil infusion. This infused oil can then be used to reduce inflammation and minor skin abrasions. Click here for instructions on creating herbal infusions. Jojoba Oil is a liquid wax extracted from the seeds of the jojoba plant. This ‘oil’ is not greasy and non-allergenic, safely used around the eyes and on the skin. Jojoba is incredibly similar to the oil our skin naturally produces so it is quickly and easily absorbed, making it a wonderful carrier for essential oils. A natural wax produced by honey bees. Beeswax locks in moisture, protects skin, and is said to aid in natural healing and cell development (added bonus: it’s high melting point keeps your lip balms and other personal care products from melting in the car). Taking a look at the list of supplies below, you’ll probably think, “AWESOME…I already have some of that in my kitchen, let’s get crackin’!” And to you, I say no. No-no. For about a million reasons, keep the equipment you use for making natural personal care products different (and stored separately) from your other cooking supplies. One of the easiest and most approachable aromatherapy methods is rolling essential oils (diluted with a carrier oil) onto pulse points. This is done with an aromatherapy roller, such as linked here. This amber glass roller bottle set includes 24 bottles with required accessories and bottle openers. A must for any essential oil user. If you need a smaller quantity, click through to view other set options. If you’re ready to create some DIY personal care products with essential oils, you’ll need to have dark glass containers to store them in. Essential oils break down plastic when stored for long amounts of time, and they also lose their effectiveness when exposed to light. This linked amber bottle set has a variety of cleaning spray containers and personal product bottles (with nozzles and labels). If you don’t need this many, click through and scroll down to ‘related products’…there are numerous amber bottle options available for a great price. A necessary accessory if you will be experimenting with herbal infusions. Cheesecloth works as well (and can also be used together with the mesh strainer if creating your natural products for resale), though this is a sustainable long-term solution. And with less mess. Check out our herbal infusions tutorial here to see if this is something you’re interested in. An absolute requirement if you will be melting any solid butters or waxes, such as shea butter, 76° coconut oil, or beeswax for use in your personal care items. (If natural ingredients sit directly on heat, they will lose their vitamins and body-loving nutrients.) This double boiler fits on top of most home cooking pots. The pour spout makes it a super-win for large mouth containers such as jars and 2 oz. twist-ups. An excellent piece of (small) equipment to have on hand if you decide you have one too many burners burning. Whether you are making products as a side hustle OR have a successful personal care product career and have to allocate more than your kitchen stove…this has been an excellent resource for my business growth. The resources below contain trusted, natural personal care recipes and then some. Think natural remedies, natural cleaning, and more. While there are countless recipes available on Pinterest, it is important to realize not all bloggers have a background in natural ingredients or essential oils. Stick to trusted, researched publications & resources (like these). You know what’s easier than looking at a million labels & trying to figure out which personal care product is safe? Making them yourself. This EPIC bundle is full of recipes for natural living, all chosen based on science-based research. This resource includes over 400 recipes in the form of digital eBooks, printables, eCourses, and more. If you’re interested in aromatherapy and essential oils for personal use and can only choose ONE book, this is it. Kathi Keville breaks down a complex subject into really understandable, approachable, bite-size pieces. This will become your foundation for understanding the history and science behind aromatherapy, as well as a really wide array of handmade formulas. Check out the post on my top 5 DIY aromatherapy books here. This book will build upon your knowledge of aromatherapy and essential oils from the resources above, with a lightly different twist. Aromatherapist Victoria Edwards discusses more unusual essential oils and carrier oils, with a stronger focus on botany and therapeutic uses. An amazing resource with lessons that people pay boo-koo bucks for in ‘live’ classes. If you are disciplined enough to really make yourself a student and do the included experiments, you’ll be able to tweak and create your own recipes in no time. This is a crazy big blog that focuses on natural family everything…cooking, cleaning, remedies, and beauty. The recipes are very easy to follow and are also medically reviewed by an accredited research team. While blogger recipes shouldn’t always be trusted, this is a valid resource. A well-rounded list of documentaries that cover large issues in the natural living conversation. A great place to start if you are new to the concepts of natural living, wellness, and holistic health. “Alex James, Blur bassist turned cheese maker, presents this critical look at our disposable approach to clothing and it’s enormous human and environmental cost. While I’m not a food blogger, what we eat and how we cook is a HUGE part of natural living that impacts every aspect of our health. Keeping things simple and eating meals cooked at home are great rules of thumb (and saves you money!). As a work from home mom that is obsessed with natural everything, I have spent hours of my life looking up recipes. I stumbled upon this GEM and won’t ever have to scroll through miles of Pinterest ads and pop-ups again. Hallelujah. All healthy, whole food options by category. This isn’t just a list of healthy recipes and cookbooks. This is straight-up meal planning done for you. REAL-life cooking categories such as “Breastfeeding Mama”, “Kids Lunchbox”, “Gluten Free”, “Long Weekend with Guests” give me back sooo much time. A must for any busy family. A healthy (and super fun) cookware set that doesn’t release toxic fumes or chemicals as you cook…I’d call that a win for any individual embracing natural living. In addition to healthier cooking, ceramic cookware distributes heat evenly and is also easy to clean. This set also has matching ceramic bakeware and nylon cooking utensils if you want to go all in! Click through to see a wide array of choices. (Psst…if you’re wondering what toxic fumes have to do with your cookware, be sure to scroll up to the documentary section of this page…click on The Devil We Know and add it to your ‘Must Watch’ list ASAP). I didn’t think I’d ever get an Instant Pot because we don’t have tons of space in our kitchen…but then my crockpot went out and was generously gifted one. OMG. This. I was getting BURNT OUT by how long it was taking me to cook fresh meals with two toddlers at my feet. We’re talking THREE HOUR cooking sessions every night. This appliance is an absolute game-changer…it has reduced my evening cooking time down to an hour without having to resort to prepackaged dinners and processed foods. And then there’s the added bonus of less clean up. The gift of time and health is seriously unmatchable. Two handy charts to have with you while shopping to ensure you are buying safe produce with the least amount of pesticides possible. Dirty Dozen: Non-organic fruits and vegetables that have the highest amount of pesticides. Make sure you buy these organic → strawberries, spinach, nectarines, apples, grapes, peaches, cherries, pears, tomatoes, celery, potatoes, sweet bell peppers (and hot peppers). Click through for more information on each type of produce. Clean 15: Fruits and vegetables that are safe to purchase fresh, without the worry of them needing to be organic. These are considered safe → avocados, sweet corn (buy organic if you want to avoid GMOs in the U.S.), pineapples, cabbages, onions, sweet peas (frozen), papayas (buy organic if you want to avoid GMOs in the U.S.), asparagus, mangoes, eggplants, honeydew melons, kiwis, cantaloupes, cauliflower, broccoli. Click through for more information on each type of produce. The power of technology makes it SO easy to integrate healthier habits and make healthier decisions throughout your day. The FREE apps listed below have been rated as the best in their particular industries. Please let us know if there are other natural living apps that need to be added to this list! Insight Timer is the top free meditation app that not only teaches you how to meditate, but also has a library of relaxation music, talks, and breathing meditations to help you combat stress, anxiety, and other life challenges. This is HUGE. 15,000 meditation exercises for FREE. An app that has over 120,000 food and product ratings (with more constantly being added). If you’re at the store and can’t decide (or decipher the labels) between different items, you just scan their barcodes and pick the one with the better rating. Not entirely fail proof, as companies don’t have to disclose ingredients under 1%…but still a fantastic ‘on the go’ natural living tool! A nice ‘catch all’ tracker if you’re trying to get on the healthy train. This app includes recipes (with community reviews and discussions), nutritional information for 250,000+ foods and products, and support for healthy dieting. Great educational section on industry news as well! A basic starting list of sustainable items that every enviornmentally (and health) conscious household should have. These eco-friendly items are incredibly easy to integrate into your daily routine and will also save you money in the long run. A plastic bag can take from 15 to 1,000 years to break down in a landfill…and surprisingly, paper bags don’t do much better. Reusable bags last forever, can be washed, stored easily at home or in your car, and can hold much more weight than the typical disposable bag. These organic cotton canvas bags are super sturdy and have…wait for it…bottle sleeves on the inside so your wine bottles don’t clink together! Genius!!! This set of reusable produce bags comes with eight different sizes and materials. Eliminate the need to use plastic produce bags at the store – reduce waste and protect our environment & animals. Added bonus, the mesh bags can actually double as garment bags for your delicate laundry. Who doesn’t love a good multi-tasking product? Paper towels produce 254 million tons of trash annually. Switching over to cloth or this bamboo towel version will help the environment AND save you tons of money every year. Cut up those old t-shirts to use as the ultimate garage rag, or snag these eco-friendly bamboo towels that replace SIX MONTHS of regular paper towels. Aside from cutting down on waste, there are medical reasons to find a reusable replacement for plastic wrap. Think breast cancer, prostate cancer, and early sexual development. These suggested beeswax wraps eliminate chemicals found in plastic wrap, make your food last longer, AND can be molded and folded to create a little pouch…which eliminates the need for plastic zip bags as well! Soooo…did you watch the Plastic Planet documentary suggested above? There are SOOO many reasons to switch to a reusable water bottle (especially a large one like this). You’ll be reducing an unbelievably excessive amount of waste, you’ll eliminate the amount of chemicals you’re ingesting, and you’ll be able to track your water consumption much more easily…to name just a few. This is a no brainer. The blogs below have been around for years and are verified trusted sources of educational information. Most of them also have accompanied podcasts, newsletters, and ebooks available to help with whatever way YOU learn the best. This blog is your one-stop-shop for all things health and wellness. You’ll find information on exercise, supplements, essential oils, and healthy recipes to help you understand how these all work together as a whole. A stronger focus on chronic illness than the aforementioned blogs and how mental health also plays a strong hand in overall wellness. A researched library of articles on skin health, digestive health, hormones, and detoxification. It’s no secret that living more simply provides great benefits to our overall wellness. Josh & Ryan break this down in their blog + podcast + books + documentary on how to live with less in all aspects of life. Because less is more. Zenma Podcast | Inspire. Empower. Educate. In this podcast, Casey and Ashley explore who we truly are; our soul’s purpose; marriage; birth; positive parenting; tips for healthy and sustainable living; gut health and hormones; alternative medicine realms and so much more. A growing list of educational resources to help you raise your kids mindfully, sustainably, and with a wellness lifestyle. 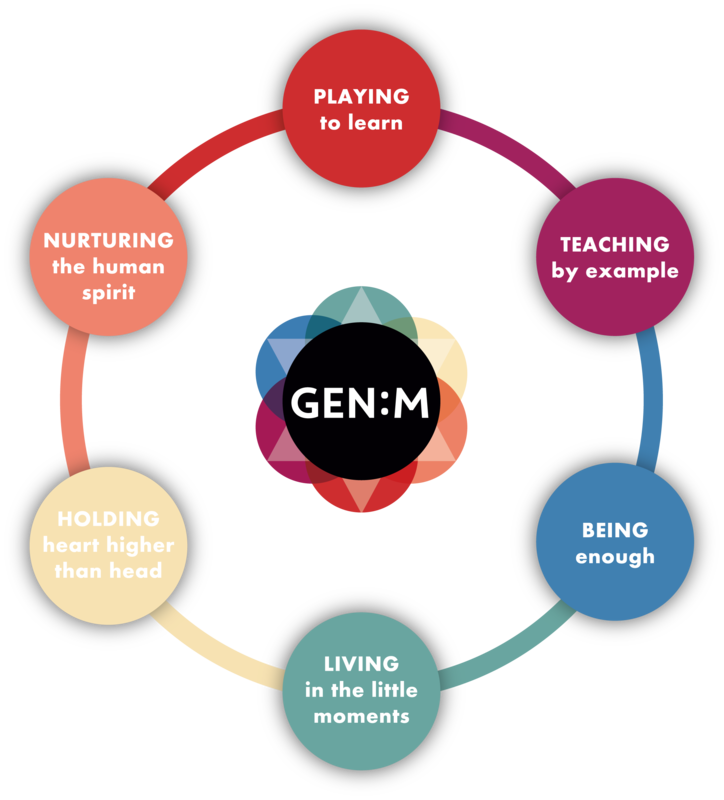 Learn the life-changing ‘Generation: Mindful’ approach to connection based parenting and education. This course will change your relationship with the ideas behind parenting, discipline, and understanding children. Set aside 75 minutes to absorb EVERY bit of this class that helps you understand YOU and how you parent (for FREE). On a mission to raise your family naturally? Find inspiration in this free ebook that includes 19 pages of trusted resources such as natural birthing bag essentials, kid-friendly essential oils, natural family blogs & podcasts, and 7 other natural family categories. The complete set of anything you need to help teach your children social and emotional skills (which is just as…if not MORE…important than teaching them their ABCs). This kit helps you to create a calming space that allows for supportive, inspiring communication and connection, as well as positive discipline tutorials for parents. A blog focused on healthy recipes, natural remedies, and DIY personal care products for the crunchy mama and her tribe. This is the largest online resource for natural moms with a little bit of everything for running a naturally mindful household. What Natural Living Topics did we miss?